Subscribe to our monthly newsletter for helpful home tips! We believe in providing more than a checklist home inspection, we also provide recommendations, maintenance tips, expert advice and ongoing support. We specialize in a wide range of services to support those considering the purchase of a home and/or current homeowners with concerns regarding the condition of their home. We are passionate about ensuring our clients have the knowledge and resources necessary to have a healthy and beautiful home. With over 16 years in the construction industry, and offering a wide range of house inspection services, there have been many people wanting to say nice things about us! We numerous online reviews on the BBB, Google and our Facebook Page. We have over 100 5-Star Reviews! We are proud to be the top rated home inspection company in Airdrie! View our availability and book an appointment directly online! We encourage you to send us an email or give us a call if you would like more info or to request a quote. We’re here to help. Accurate home inspections in Calgary, Airdrie and surrounding areas. Ozone treatments will permanently remove odors from a variety of spaces. Are you buying or selling? Fed up with unpleasant lingering odors? Rid your house of unwanted odors caused by smokers, pets, musty mildew, and even volatile organic compounds, and improve its indoor air quality. Simply looking for clean and fresh indoor air –we can provide that for you! Curious to know what makes us different from our competitors? Our motto is “Because Our Company Cares” and this is what guides us as we conduct inspections. We strive to create an educational and enjoyable inspection experience by explaining deficiencies, answering questions, providing maintenance tips. Our team of inspectors each have over a decade of construction experience and trade specialization, in addition we have our trusted vendors in our speed dial! Avoid getting tied into a costly investment—know the true condition of a home! We are here to complement the knowledge and experience of you and your realtor. Uncompromising, unbiased opinions regarding your investment, for a fraction of the cost of the home. Friendly & Trustworthy Service – Read our Reviews! “A home is the biggest purchase you’ll ever make, so it’s important to understand the condition of your investment. 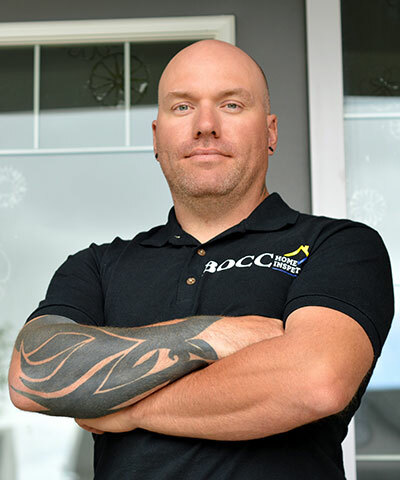 Let Bocc Home Inspections provide the thorough inspection you expect and a report you can rely on to make a confident decision. 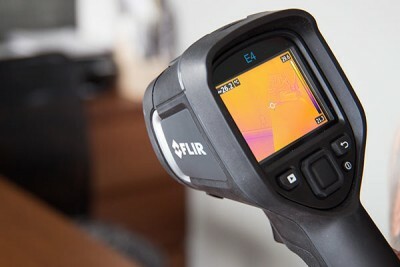 As a Certified Professional Inspector® I have the knowledge to spot problems with materials, installation and workmanship that other inspectors might miss.